Happy Friday Loves! 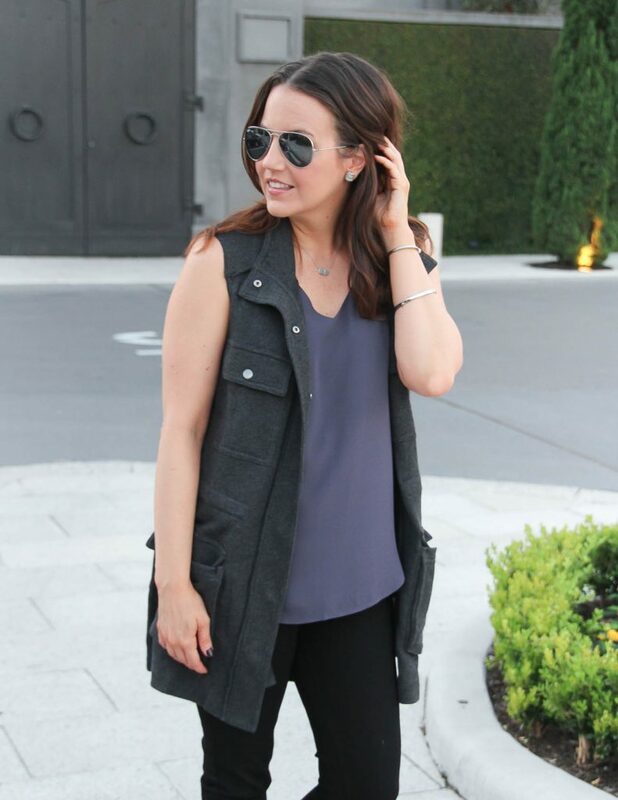 I am sharing another one of my Nordstrom Anniversary Sale finds, this cozy gray utility vest. 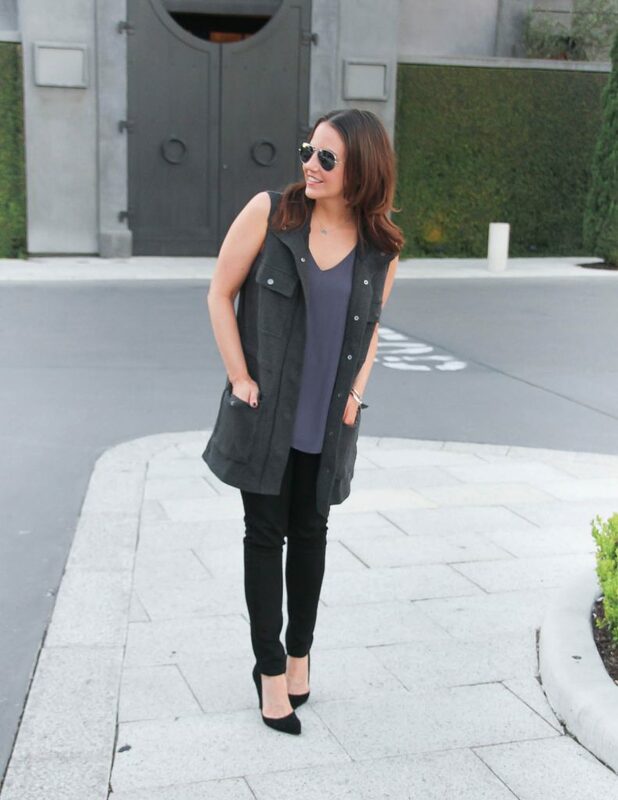 For winter and fall, you can pair this vest with a long sleeve tee or dress. For late summer or early fall, I love how it looks paired with another sleeveless top like my favorite strappy cami or even a sleeveless dress would be cute. This vest is made of the softest sweatshirt fleece material. I love the pocket heavy utility look to this vest. It gives it a more structured look in contrast to the softer material. The dark gray is so gorgeous too. I love pairing dark gray with jewel tones like maroon, purple, and navy. If you want to see more great finds from the sale, I recently updated Anniversary Sale page with hopefully still in stock items! Alright ya’ll, have a great weekend and thanks for stopping by! Love the vest! Great styling! I love how you made this work for summer! A great transitional piece into fall as well! Loving that vest. I am sure it will be a major stable in fall. This vest is perfect! I’ve got an army green one that is similar and I just can’t wear it enough. Thanks for sharing this one! Love that vest! I didn’t see it during the sale but it’s really cute!